ULTRA-UNIQUE SODA SERIES FLAVOURS We take flavour & mixability very seriously – this is where BCAA SUPREME stands as the clear leader. 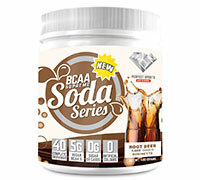 The ultra-unique soda series flavours and easy to mix powder set the standard for taste in high quality BCAA’s. Directions: Adults take 1 Scoop (10g) in 250ml of cold water or as directed by a healthcare practitioner. Adjust amount of liquid to suit taste. Ensure to drink enough fluid before , during snf after exercise. If you are pregnant or breastfeeding, consult a healthcare practitioner before using this product. Store in a cool dry place.